Israel struck eight Hamas targets in Gaza early Thursday morning following a rocket attack in the southern part of the country. Israeli military officials say the targets were spread across three Hamas compounds, according to The Associated Press. It was not immediately clear if there were injuries or casualties on either side. “We haven’t shown enough of a steel fist there. 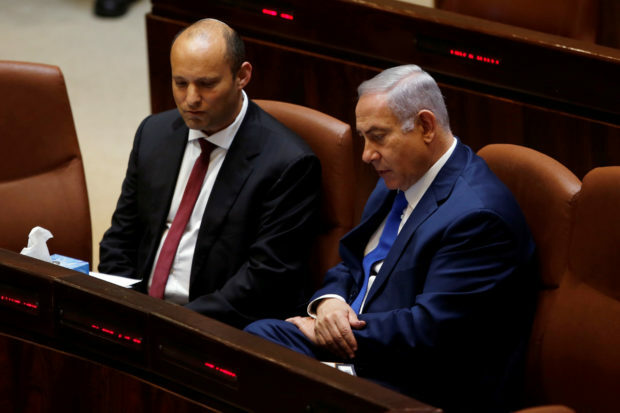 We’ve been mighty soft on the fence, and that softness invites an increase in attacks,” Education Minister and leader of the Jewish Home party Naftali Bennett said Oct. 16 in response to the missile attack on Beersheba, Bloomberg reported. “I am trying to find a solution that will restore quiet and security, I am not interested in getting into needless wars,” Netanyahu said Oct. 16, according to Haaretz. Israel attempting to permanently reoccupy the territory would be “like putting your hand in a beehive,” Bennett said. Officials from the United Nations and Egypt have been trying to help bring about a “long-term truce” between Israel and Hamas, The AP reported.